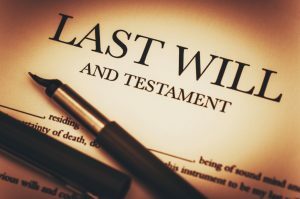 The general belief is that drafting a will is as easy as assigning assets to intended beneficiaries. This is just a small fraction of what a will entails. It becomes even more challenging to write one if you have a larger, extended family. This blog highlights some of the mistakes that you must watch out for when writing a will. Legally, each of your biological children, whether born out of wedlock or not, has a right to a fair share in the property of their parents. If you find it somewhat complicated, it’s vital to ask for professional advice from experienced solicitors. Failure to include even one of them can lead to decades of persistent conflicts over your assets. It’s often prudent to account for all the children, plus those still in their mother’s womb, in your estate plan. Ideally, a will set up before marriage has no legal effect. Reason being, after marriage, there will be dependants. You will have a spouse and children to not only support but who will also act as heirs when you pass on. It makes sense to draft estate plan after you’ve obtained an accurate figure of the number of beneficiaries that must be included therein. Changes are inevitable in a family, and some of them might happen even after you have written your will. There could be deaths or births. Some old assets will be sold as new ones are acquired. It’s important that you cancel and add new information depending on the changes that have taken place. Failure to do this would mean some of your assets go to unintended heirs. Wills and estate plans can be challenging to understand, and if you are not careful, you can always make mistakes. The best move is to draft a will under the advice of a capable lawyer.